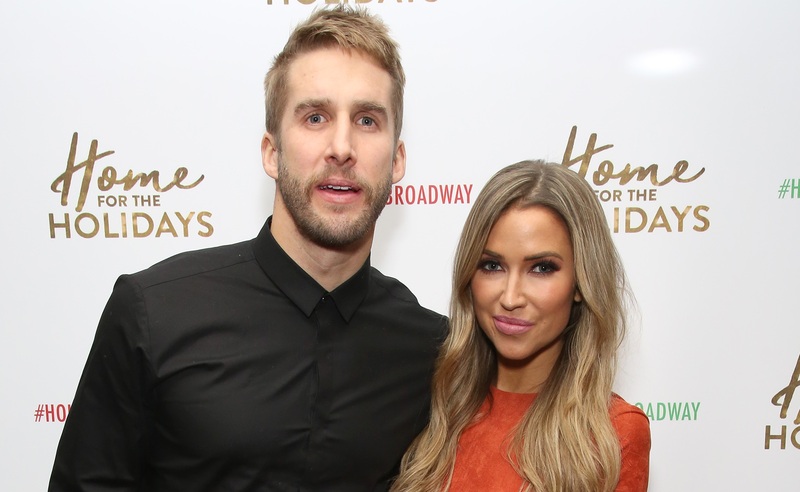 It’s been a few weeks since Bachelor Nation fan favorites Shawn Booth and Kaitlyn Bristowe called off their engagement, and yep, it’s still sad. In fact, it just got even sadder because Bristowe has finally broken her silence about the split. Spoiler alert: What she has to say will make your heart hurt. Bristowe took some time at the top of Tuesday’s Off the Vine with Kaitlyn Bristowe podcast to address “the big elephant in the room” — the breakup. To start, Bristowe set the record straight regarding the breakup announcement, saying the couple didn’t get any money for giving their statement to People. She also noted that she didn’t put any time frame on opening up about the breakup after the official announcement, but simply planned to do so when it felt right. And then came the really tough stuff. “It’s actually just been a really hard few months now. I really did think we would get through it. When I did the podcast back in the summer, I know I addressed the rumors — and there were a lot of rumors when I went to Canada — and I realized that we were in a crossroads in our relationship. But to be honest, I thought we would choose the road where we would end up together,” Bristowe said, fighting through tears. Although she suspected the split was coming, Bristowe never intended to give up. “I just never took our commitment or being engaged lightly at all. I had the mindset of doing whatever it took to make it work,” she revealed. She chalked the experience up to a life lesson, though, elaborating that she had to force herself to reevaluate. “Sometimes, you need to just take a moment and take a step back to think about what you are fighting for and if it makes sense for your long-term happiness, and I think Shawn and I realized there were some important fundamental values that weren’t lining up and some things we probably would never see eye-to-eye on — and we were left with no choice than to be honest with ourselves and with each other,” said Bristowe. Still, she considers herself (and Booth) fortunate to have shared so many “beautiful moments” during the three years they were together — moments largely documented on social media. While Bristowe insists their love was real, she does admit the pair had their issues. “When it comes to roadblocks and, again, those fundamental values and getting through things together, I just don’t think we were on the same page,” she said. “It’s painful to admit that, and I just believe you need that foundation and you need that partnership if it’s going to last forever. Although Bristowe and Booth didn’t have any children together, they did have the next-closest thing: a pet. And it’s clear Bristowe is suffering the loss of their dog, Tucker, almost as much as she is the loss of Booth. Ultimately, Bristowe reassured her fans she’ll find happiness and she and Booth will remain friends (including custody visits with Tucker, presumably). On Nov. 12, Booth posted a photo of himself and Bristowe during happier times, thanking fans for their support over the years and during this painful time. He seems to be channeling most of his post-split energy into his new Nashville-based fitness studio, Boothcamp. For her part, in addition to the podcast, Bristowe is pouring her heart and soul into song — the aspiring musician has been in the studio as of late, even recording a new song on Nov. 3.